A recent series of conciliatory gestures by the US would keep momentum for dialogue with North Korea alive but would not likely lead North Korea to the negotiating table for denuclearization, experts said Sunday. Stephen Biegun, the US special representative for North Korea, said Friday that the US will review easing travel restrictions on North Korea to facilitate humanitarian aid to the impoverished country, in an apparent attempt to appease Pyongyang, which is not engaging Washington in working-level and senior-level talks. Biegun also told reporters in Seoul that the US is willing to move to the next stage of discussions with the North, and to explore “a number of other things” to build trust with the reclusive country. The US also agreed to sanctions exemptions for inter-Korean projects, including the two Koreas’ groundbreaking ceremony for inter-Korean railway and road connection and their joint recovery of war remains. Despite Washington’s friendly gestures, however, a deadlock in North Korea-US denuclearization talks are likely to continue, experts say. Hailing this year’s progress in nuclear diplomacy with the North, US Secretary of State Mike Pompeo said Washington is “counting on” a second summit between US President Donald Trump and North Korean leader Kim Jong-un during an interview with National Public Radio on Thursday. Before Trump and Kim sit down for another summit, the US appears to want to flesh out details of how denuclearization will proceed in working-level and senior-level talks with North Korea. But the North appears to be avoiding such talks and to prefer top-level negotiations. What North Korea “fundamentally” wants is sanctions relief as a sign of mutual trust, he said. Pompeo and Biegun, however, have reiterated Washington will stick to unilateral and international sanctions against North Korea until it takes more irreversible, verifiable steps toward relinquishing its nuclear arsenal. 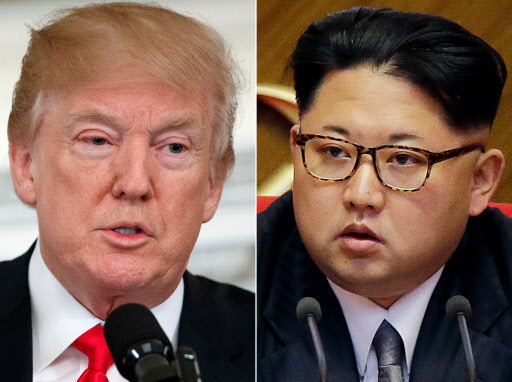 North Korea sees no point in engaging the US in working-level and senior-level talks because it thinks such trust-building measures as sanctions relief and an end-of-war declaration require Trump to make a bold decision, Koh said. North Korea has been calling for “corresponding measures” by the US in return for all the measures it has already taken, including the dismantling of its major nuclear test site in Punggye-ri and missile engine test site in Tongchang-ri.